I am excited to be featured on Word of Mom Radio with an opportunity to share more about Purposeful Pathway, this Journey with Jesus! “Thursday, June 28th on Word of Mom Radio, Caroline Gavin joins me from 2-3 p.m. EDT. 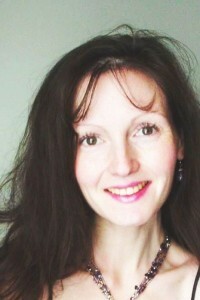 Caroline is a Christian Life Coach, Speaker and Author of Purposeful Pathway: Your Journey with Jesus. As a Life Coach and the Founder of Purposeful Pathway, she helps others discern their vocational paths, live with purpose and align with God’s Way. The result of coaching is God-centered transformation. I would be honored for you to join me on Word of Mom Radio! Great job on the radio show…listened to the whole thing. Blessings to you and praying that your power in your beliefs and your help for others is prosperous! Tom, thank you so very much! Such an encouragement you are – as always! I had a great time on the show, and I am glad you enjoyed listening. I am grateful for your friendship, your kinship and your incredible heart for the Lord Jesus. May He continue to richly bless you and your ministry!